#TheOriginals Season 3 Episode 7: With a dire prophecy looming over them, Klaus and Elijah invite Lucien (recurring guest star ANDREW LEES), Tristan (recurring guest star OLIVER AUCKLAND) and Aurora (recurring guest star REBECCA BREEDS) to a Thanksgiving gathering in an attempt to negotiate a truce. 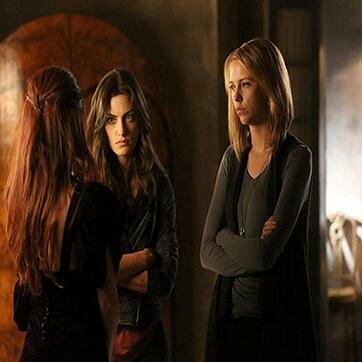 When Aurora reveals that she has powerful leverage over Klaus, Hayley and Freya take matters into their own hands, leading to a deadly three-way confrontation. Elsewhere, Marcel and Vincent are forced to take drastic measures when they realize Davina may be in over her head, and Cami finds herself face to face with a dangerous new threat.